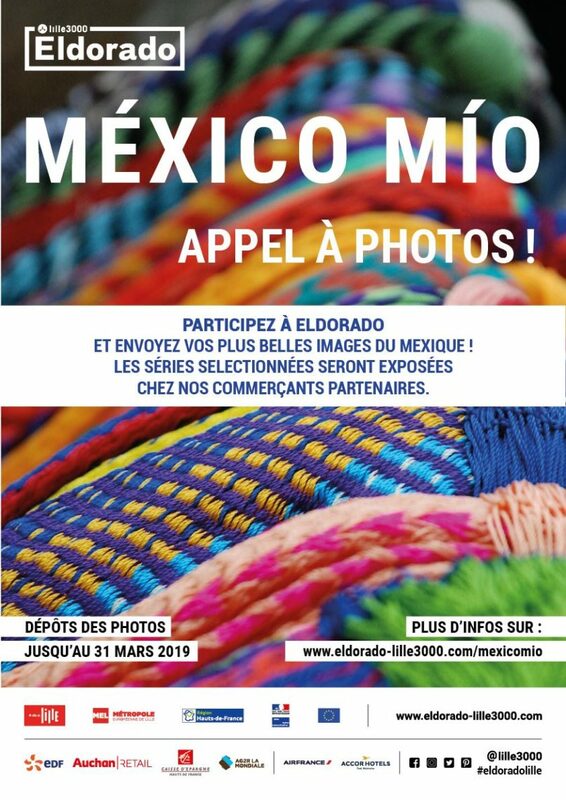 México Mío offers you to expose your most beautiful shots of Mexico in the different districts of Lille. This project aims to create a meeting between amateur photographers from the Hauts-de-France and the locals, exhibiting their works at our partner merchants. Photo submissions: until March 31, 2019. Are you an amateur photographer? Do you have beautiful pictures of Mexico? Share “your Mexico” by proposing us a series of 5 photos! > 1 to 3 series maximum with the title of the serie and descriptive text of 200 words max per serie. > minimum size 20 x 30cm, thank you for sending us the pictures in the right proportions. > With your precise details: name, first name, telephone number, postal address, city of residence and email address. Warning, any sending not respecting the above indications will not be taken ! The selected photographs will be exhibited at our partner merchants from June 5, 2019 to July 30, 2019.